While I tend to favor 1972 and 1977, I recently started digging into 1970 after hearing one of the Fillmore East tapes. I had previously heard some truly awful sounding auds from this era, and basically ignored 1970 given the wealth of great sounding tapes from other years. 1970 has some amazing music! Currently, I can't stop listening to 4-15 Winterland which has IMHO the best It's A Man's World ever, and 5-1 Alfred, that has an acoustic set that sounds as good or better than Dicks Pick Harpur. The one constant I am finding is that the band sounds like they are having a lot of fun. 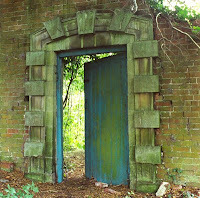 Thanks for a great blog which has led me to some great new treasures. Great post, and a reminder of a great year. Another fun example of horrendous tapes holding musical treasures is 5.8.70 from SUNY Delhi, which came into circulation a couple of years back. Utterly insane Dark Star that night at a small college in upstate NY. Thanks for your writing, Icepetal! 1970 has long been my favorite Dead-year (after '67/68) due to the intensity of the jams. 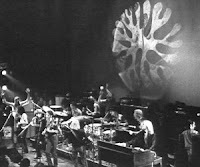 awesome Dark Star 04/24/70 Mammoth Gardens! I found the inner room, thanks to you. My soul feel elevated! fyi- Mammoth Gardens in Denver is now the Fillmore Auditorium. Lot's of great photos on one long wall of shows from years past, and years recent. Great venue, Phil often plays there when Red Rocks is unavailable, or he tours at the wrong time of year. I'm offended! You wrote an article about 1970 and did not mention the best Dead show EVER! 5/15/1970's late show. It's a classic in every sense of the word. Just listen to the energy on the acoustic set! The band is smokin', the energy is high the entire show and you can tell that the whole band is having a LOT of fun. Pigpen is really on, as is Phil and Jerry's soloing is amazing. And wow, what an amazing Dark Star! Has probably the best FotD ever performed, Katie Mae, one of the two Ballad of Casey Joneses performances, a wonderful early China>Rider(amazing), an old Morning Dew (much preferred to the 1971< ones IMO), Next Time You See Me with harmonies, a smokin' DS>SS running into NFA>Love Light... And amazingly fun crowd/band interactions throughout! And to top all of that off, the soundboard recording is sublime! The tape drops are kind of sad (most of St. Stephen is lost D:) but it doesn't take away from the glory and power of the show. It's my all time favourite show. I you can think of anything sweeter than that I'll eat my shoe. If you haven't listened to it, you MUST either torrent it (etree has it) or check it out on Archive, which has both the early and late shows on one page. The early show is also amazing (Easy Wind <3, Attics, and TIFTOO), but I really hold that late show as my favourite. It starts with Ballad of Casey Jones. Wow, that Mammoth Gardens Eleven is a real potboiler -- furious, sweet and rollicking. Even so, I wouldn't listen to it for more than historical value 'cos of the sound quality. But it's not gratingly bad like some AUDs. I think patience with old AUDs is easier for people who grew up listening to AM radio and when lo-fi was the rule not the exception. It's also easier to listen to old AUDs on lo-fi systems like crappy little computer speakers or the CD player of an econobox car or truck with lots of road noise interfering with fidelity anyway. Your brain sort of adjusts for bad sound in those situations. Listening to a bad AUD on hi-fi, especially very precise speakers or headphones, can be unpleasant and fatiguing. But bad isn't the same thing as lo-fi -- there are some lo-fi AUDs that are enjoyable on hi-fi systems even though their limitations are obvious. I was among those who had been indoctrinated that '77 and '73 were the vintage Dead years, and I have of late been absolutely blown away by the 1970 shows. 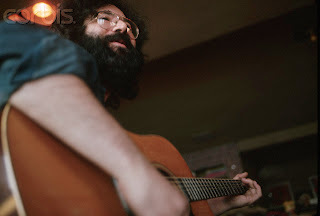 Garcia seems to be playing a different guitar than he did in later years--it sounds "sharper" in a way, almost like he was influenced by Jimi Hendrix. The jams are tightly wound and creative without losing their melodic quality. Just listening to the Good Lovin' from 9/18/70 is enough, as is the Dark Star from 2/2. I'm so "grateful" for www.archive.org!